Trump continues to be a major factor in partisans’ expectations for the coming year – both positive and negative. Asked why they think 2019 will be better than 2018, 24% of Republicans volunteer Trump as the reason, while 20% cite the economy. Roughly one-in-ten (12%) point to expectations around border security and immigration, including the possible expansion of the U.S.-Mexico border wall. The share of Republicans who are optimistic about the coming year and mention Trump as a reason is roughly the same as in 2018, but a smaller share now mentions the economy than did so last year (36% then, 20% now). 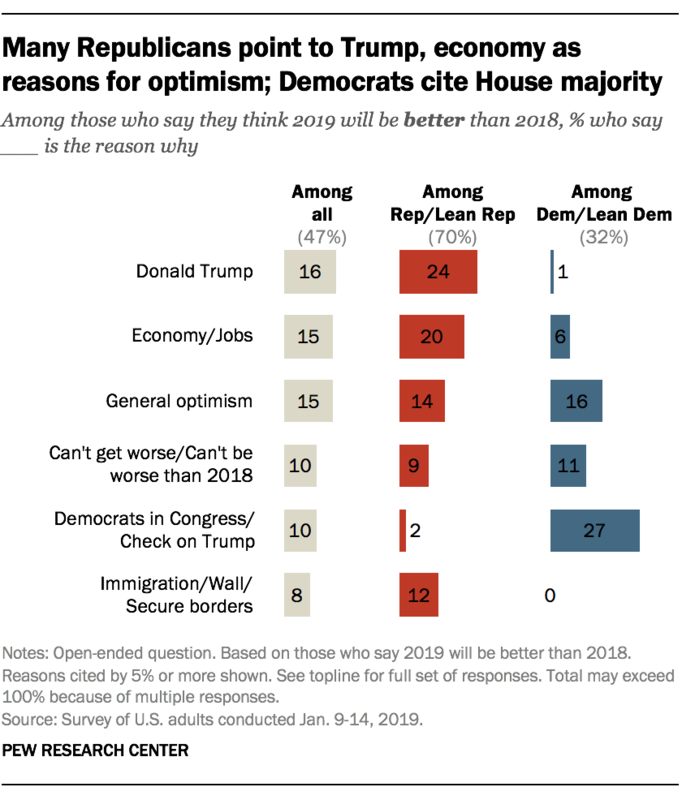 Among the relatively small share of Democrats (32%) who are optimistic about 2019, the most commonly cited reasons are the Democrats’ new House majority or the party’s ability to provide a check on Trump, cited by 27%. Another 11% of Democrats say the year ahead will be better because 2019 can’t be worse than 2018; a larger share (16%) expresses general optimism about the coming year. Trump is by far the top reason for pessimism among the 56% of Democrats who expect this year to be worse than last year. 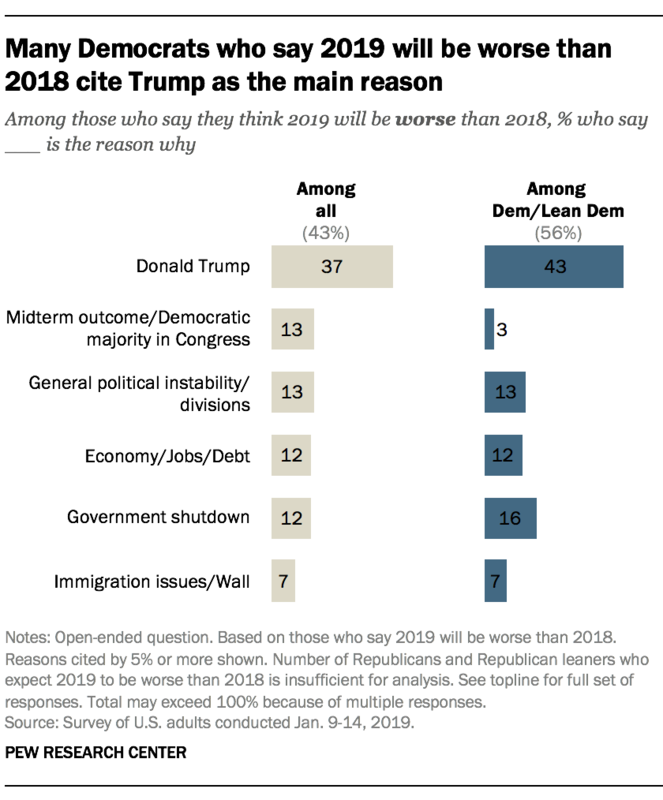 About four-in-ten Democrats (43%) say 2019 will be worse than 2018 and cite Trump as the main reason; another 16% cite the government shutdown, while 13% cite political instability or the country’s political divisions.